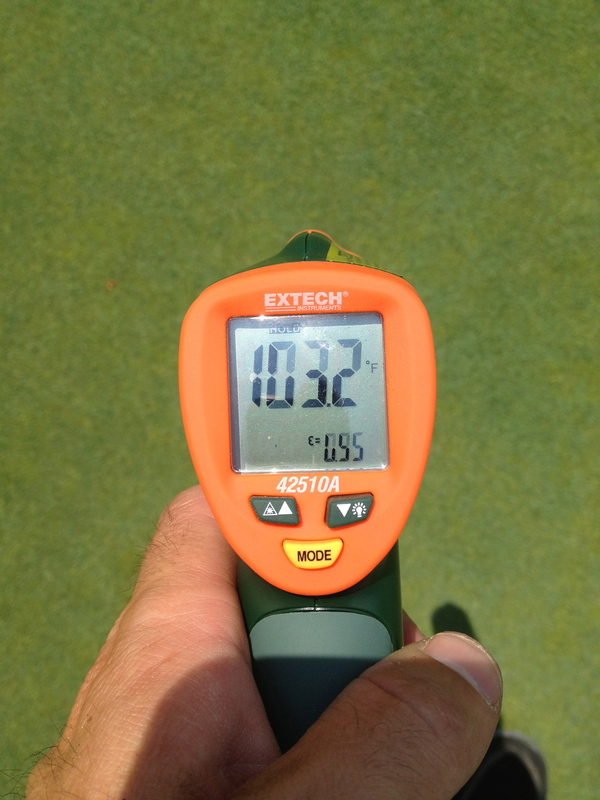 Surface temperature taken on a green at 1pm. It is finally that time of year again where maintenance is becoming routine. We have reached a point in our maintenance schedule that has allowed us to get caught up with many areas on the two courses. While you will definitely see some projects that are ongoing; both courses have reached a maintenance level. This is all thanks to the extreme effort that our staff has put in over the last two months! The staff do not spend any longer than 2 minutes on a green surface. If you happen to be waiting to hit your approach, please wait just a minute longer to avoid hitting into them. 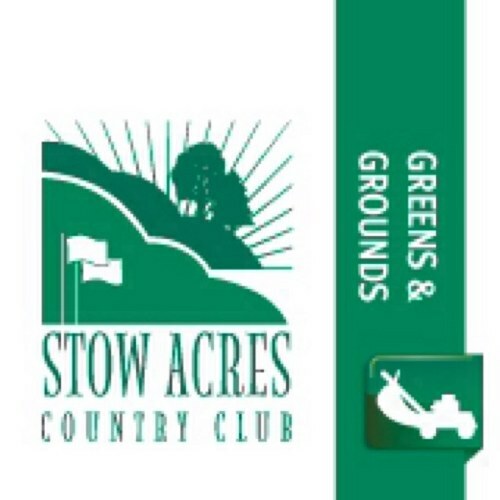 They are paying attention to you, but they are diligently working to keep the green surfaces alive and playing well. Thank you for your understanding and patience. See you on the course!